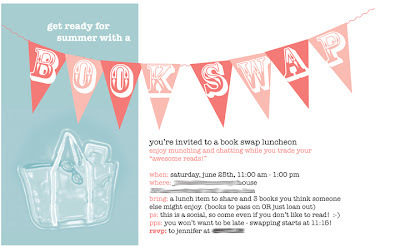 summer with a BOOK SWAP! 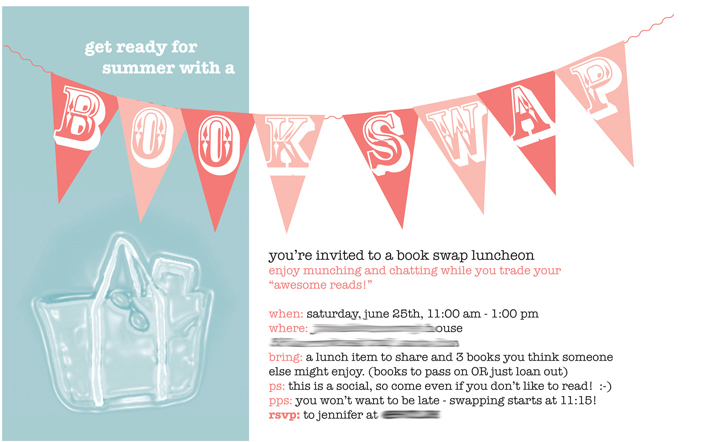 Uh, ok. Summer is over, but we had our book swap in June and I still haven't told you about it. 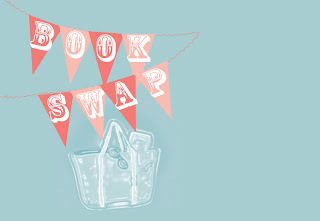 Well, fall is another great time for you to have a book swap! The kids are back in school and as the weather cools you'll want some great reads to snuggle in with, right?! pps: you won’t want to be late - swapping starts at 11:15! Our event was small but fun. I made the above invites and my friend hosted the swap. Asking everyone to bring something makes it much easier on the hostess, especially those of us with small kids where just cleaning up all the toys is quite a feat! When each lady arrives hand her a number. This is her "picking" order. After everyone arrives, is introduced, gets a drink, finds a seat, etc. get started. Our hostess asked us each to give a short description of our 3 books. Since we had about a dozen ladies, we were able to fit this step in. It helps to hear someone say why they loved a certain book and to know whether it might suit your tastes or not. If anyone wishes a book to find its way back to her, say so now and have her be sure her name and address is inside. Also, have notepaper handy so she can get the name of who took what. Then set all the books on tables – these can be on the other side of a great room or in the next room depending on your space. A bit apart from the gab fest that starts next, but I suppose you could pile them all in the middle of the floor should you choose. :-) Gal #1 gets to go look the books over and pick her first one. Then lady #2, etc. until each person has one. Then start over letting #1 choose a second book and on and on until they're gone! Everyone who brought 3 should go home with 3. Meanwhile, the munching and chatting continues. That's it. An evening swap or genre swap - you can vary it any way you like. But you see there's not that much to it and it's a great way to recycle your books and hear about what others are enjoying. We had quite a varied book selection and I think everyone found something to go home with that interested them. I'm not big on fiction, so one of the first I chose was The Power of Patience by M. J. Ryan. Something I need and am still enjoying and (I hope) learning from! 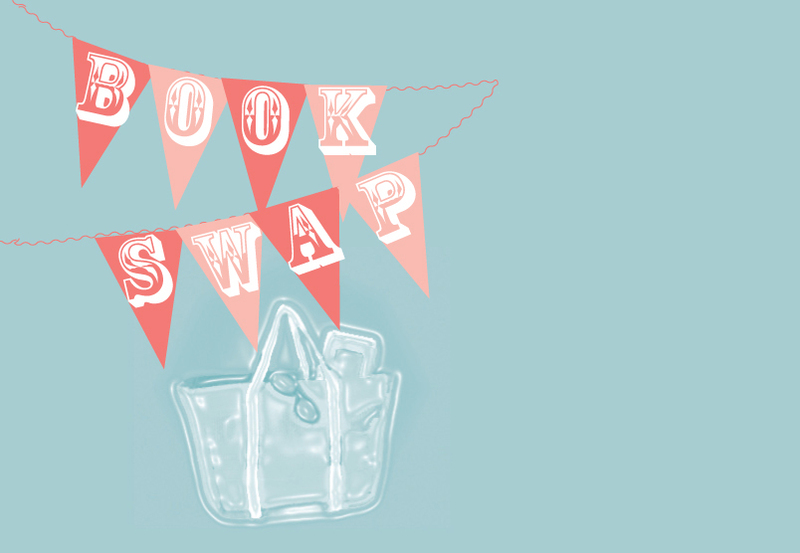 So, have YOU hosted or attended a book swap? How did it go? Please share your tips in the comments! Thank you!! This would be great over here in France where English books are a rare commodity. Or I could just get a kindle. Oh what a fantastic idea! Great way to get people reading, without the expense.